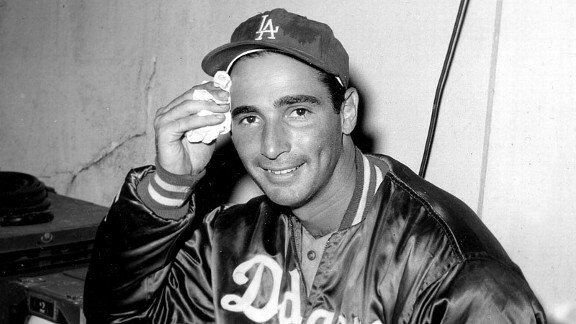 They called him "The Left Arm of God," and here's why: Over his final five seasons (he retired at age 30 after 12 years), his ERAs were 2.54 (in 1962), 1.88, 1.74, 2.04 and 1.73 (in 1966). He led the NL in each of those seasons and won Cy Young Awards in three of them. Any wonder Willie Stargell once said this about Koufax? "Trying to hit him was like trying to drink coffee with a fork."